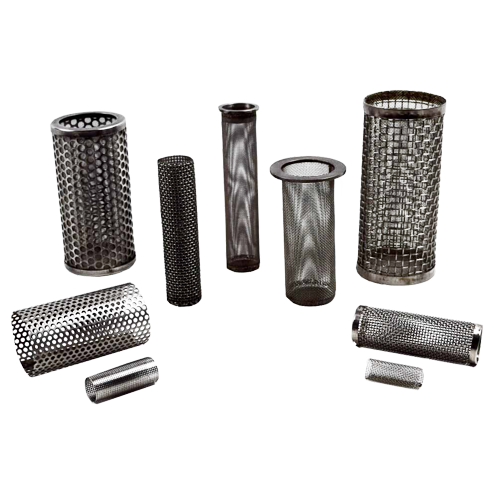 A very fine wire mesh is made into cylindrical shaped filters which usually have one or more layers to separate solids from flowing liquids. 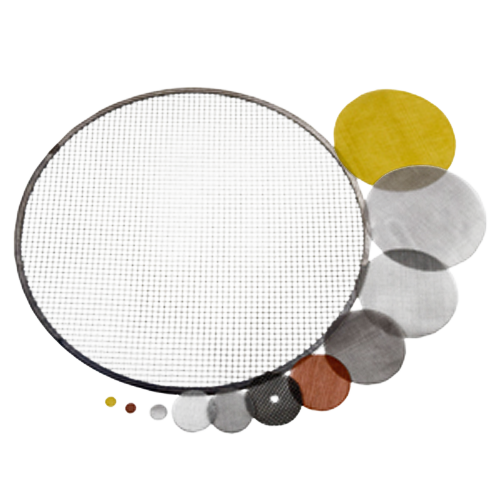 The mesh size determines the amount of impurities filtered from the liquid. Increased filteration can be achieved with finer meshes. 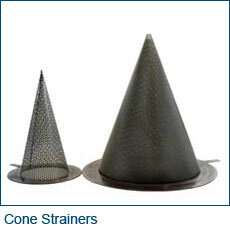 Food grade strainers for commercial use and many industrial purposes are made of fine quality wire mesh. They are often employed to segregate parts for organization in large scale industry. Discs are Wire Mesh cut into circles with exact diameter specifications. They are available in standard sizes and custom sizes cut to your specifications for specialized commercial and industrial requirements. 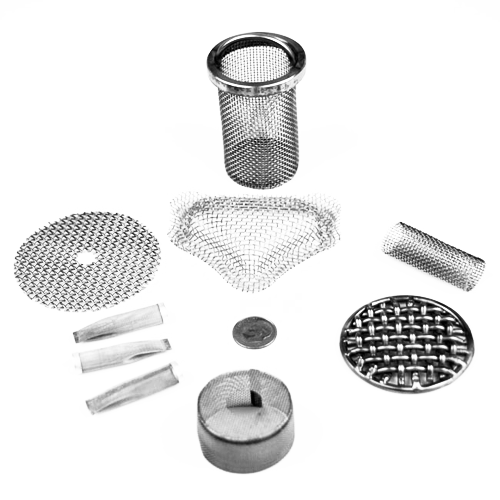 Our Wire Mesh Filters are constructed from a variety of wire mesh thicknesses, perforated sheets and woven wire mesh to form a variety of products including Basket Strainers, Cylinder Filters and Cone Filters. 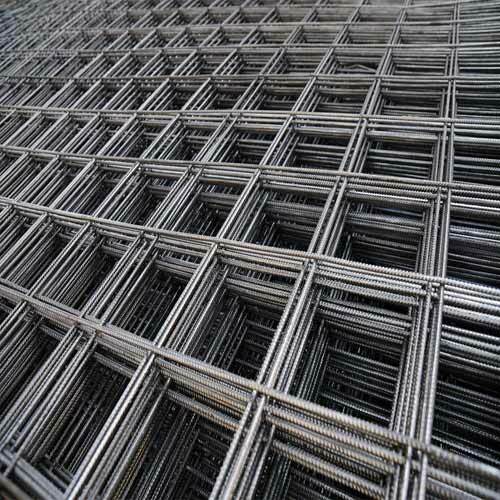 Welded Wire Mesh has numerous uses including protective dividers, flat shakers and sifters for mining operations, infill panels, security panels, partitioned cages, and as decorative or architectural additions. Welcome to Hillside Wire Cloth! 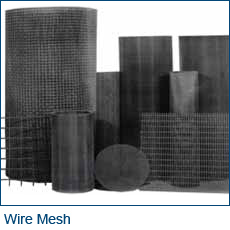 We offer a virtually unlimited range of wire mesh products to meet your needs, whether you are looking for wire cloth sheets or you have a need for a custom designed and fabricated wire mesh item for a specific application or purpose. 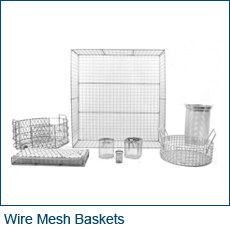 Common wire mesh items like strainer baskets, cone strainers, filter screens, or welded wire mesh are just the beginning of what we can do with our combined decades of experience and your specifications or requirements. 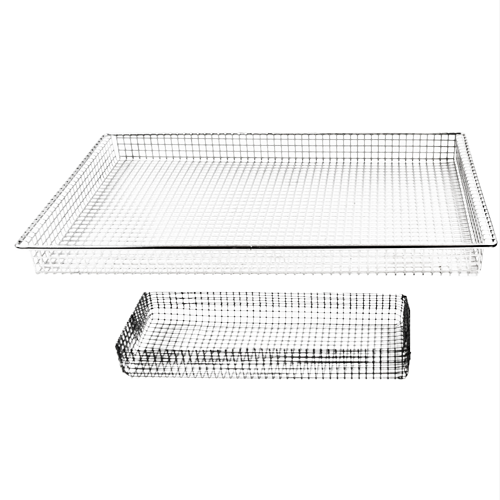 In addition to a wide array of standard wire cloth products, we can also create unique wire mesh items tailored to match your business needs. At Hillside Wire Cloth, you’ll find a professional team of experts waiting to work with you to provide you with a complete end-to-end experience, from learning more about what wire cloth items will work best for your needs to designing the perfect item, assisting you with choosing optimal product characteristics, and fabricating your wire mesh product in any quantity you need to keep your business running smoothly and efficiently. Our products are being used in hundreds, if not thousands, of applications around the world in industries ranging from aeronautics to zoology. However, wire cloth products are not restricted to commercial, agricultural, or industrial use. Hillside Wire Cloth also provides wire mesh items for indoor and outdoor residential applications. Hillside Wire Cloth is a family owned and operated business, so we know the value and importance of standing behind the products that bear our name. 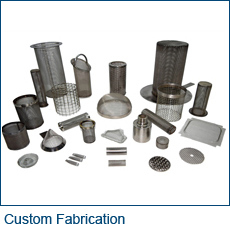 Our specialty is custom fabrication of wire cloth to meet specific needs. We are not limited to an array of pre-made “in stock” items filling our shelves, because we have the capability to craft wire cloth products on demand, designed to work perfectly for you. Our wire cloth products are made from the highest quality metals and metal alloys, with each characteristic of your wire cloth item specially selected during the design process to create a product that offers all the qualities your particular application needs. Because of the versatility provided by the many different characteristics that make up your end product, you will never have to settle for items that aren’t exactly what you need when you let Hillside Wire Cloth work with you to deliver wire mesh products for your home or business.